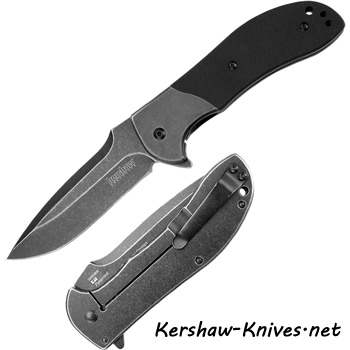 The very cool and classy Kershaw Scrambler Knife has gotten even cooler with the new BlackWash finish all over the RJ Martin designed-stainless steel blade, front bolster, and back scale. 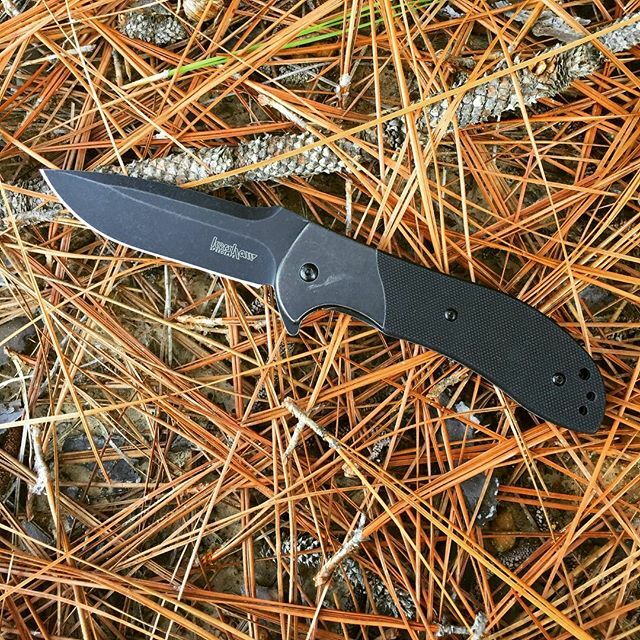 This black-oxide BlackWash coating enhances the knife's resistance against corrosion and everyday wear. The ergonomic handle features textured G-10 on the front for comfortable and sturdy grip. The knife deploys with use of ambidextrous thumbstubs and speed safe opening technology. Frame lock secures the blade into place. Reversible pocket clip for left or right-handed carry.